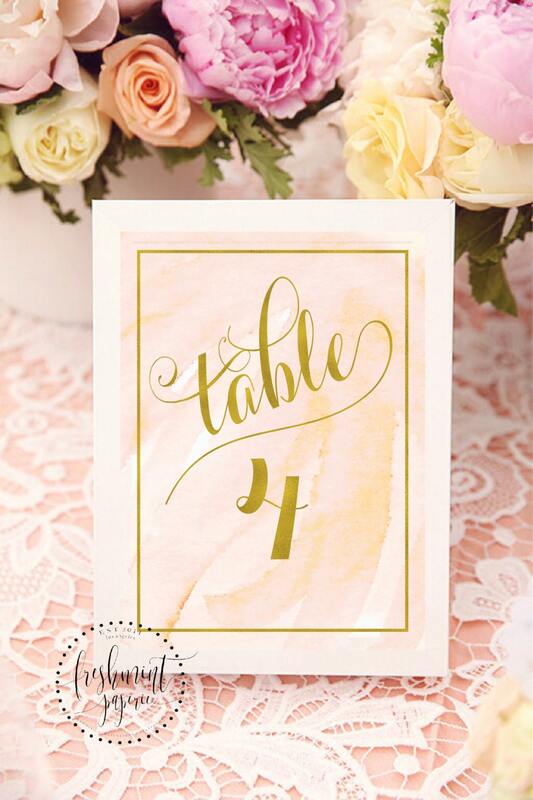 This listing is for these GORGEOUS blush watercolor table numbers. The perfect detail to any table setting. Size: 5x7 each : Prints 2 cards per 8.5x11 sheet. Print on white cardstock / cover paper. 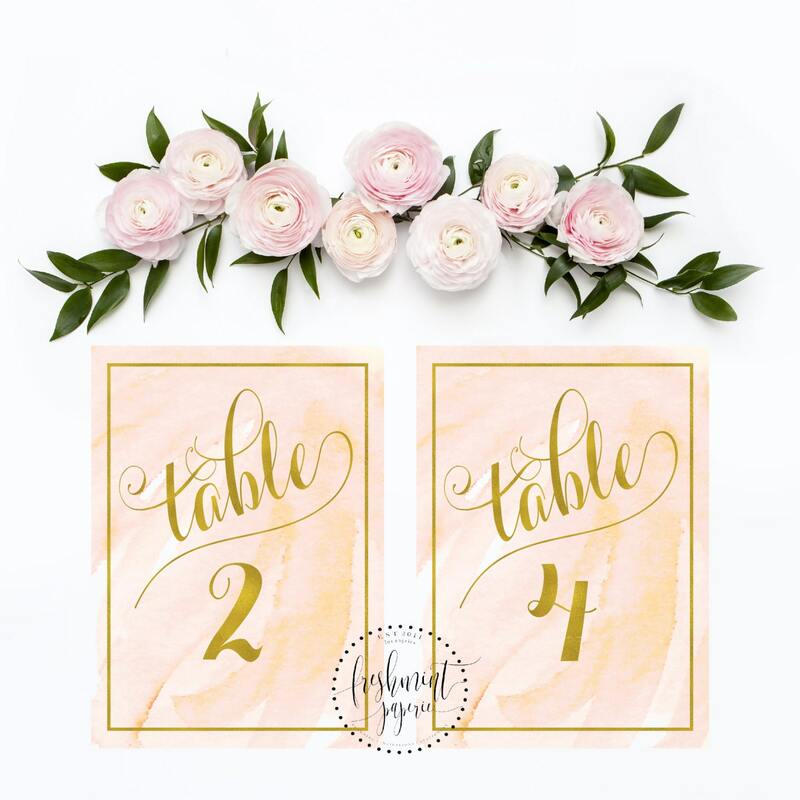 If you're an event planner & wish to use this on MORE than one of your events, please let us know & well make a listing for commercial use + $25. 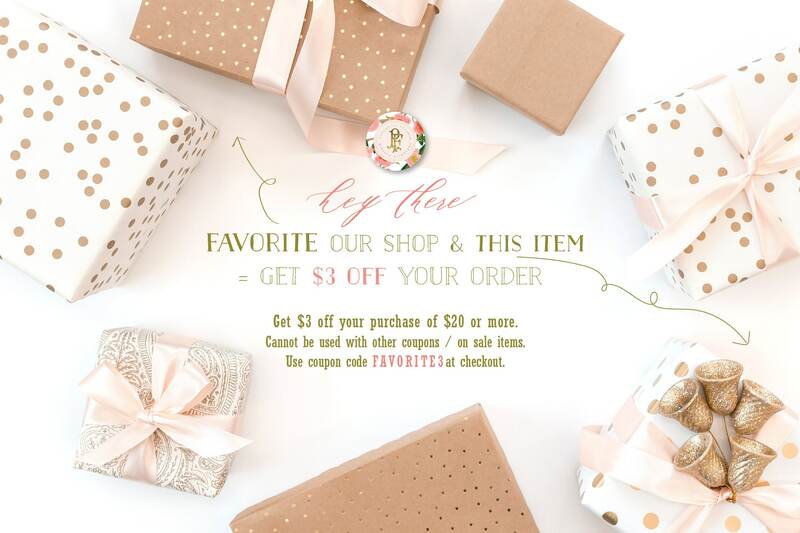 It was my first time to download something I purchased off etsy! She was so quick to respond to help me figure everything out! 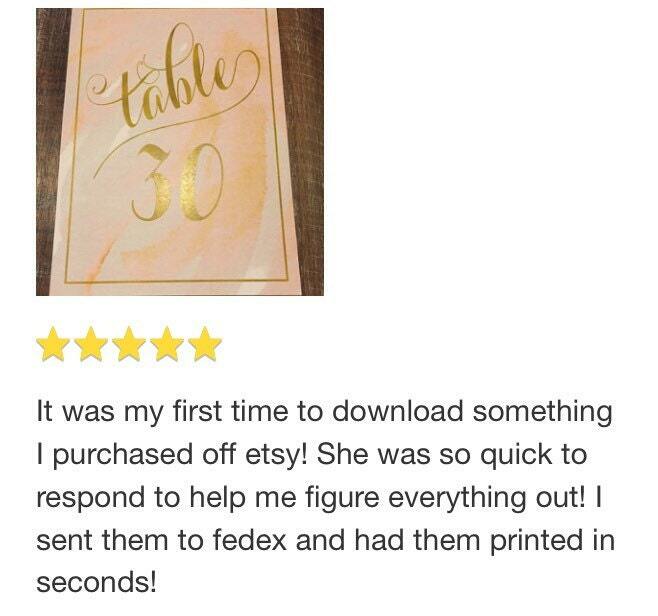 I sent them to fedex and had them printed in seconds!